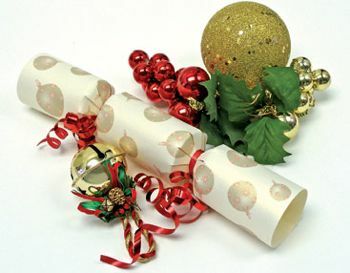 One of the highlights of a British Christmas is the Christmas Cracker. Produced for a few pennies, this object, which comprises a cardboard tube, colorful foil paper, a fragile paper hat, a plastic toy, and a bad joke, really gives a lot of bang for the Great British pound. 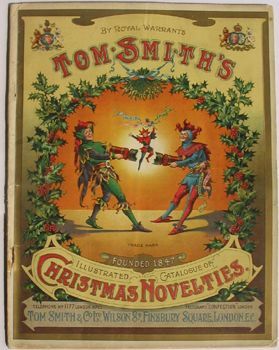 I was going to research the history of the cracker, but came across this excellent site, which includes photos of how to properly pull your cracker. Thank you, Woodlands Junior High School in Kent. Why do cows lie down in the rain? To keep each udder dry. What do you call two robbers? I was going to research more jokes, however this fabulous site gives you an interactive, cracker-like experience with many excellent jokes. And should you want a fuller analysis of current cracker culture, enjoy this article from the Daily Telegraph. 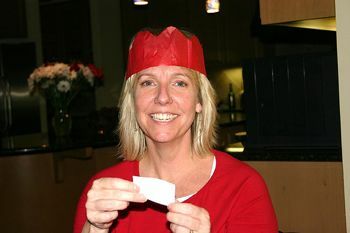 I hope that you will one day introduce crackers into your festive occasions, but remember, you can’t take the hat off until the meal is over. I love the wee jester leaping out of the cracker as it cracks! I hope you get to crack some crackers tomorrow. TGW needs to twitter . . .
it is our future. and bw is already there . . .